The Qualys Web Application Firewall Virtual Appliance extends the reach of the Qualys Cloud Platform's integrated suite of security and compliance SaaS applications into the internal networks of both Amazon VPC and classic EC2 by providing seamless security to resources hosted within AWS. IMPORTANT NOTE: This Web Application Firewall appliance is intended to be used with the WAF module within the Qualys Cloud Platform. Each instance of the Qualys WAF Virtual Appliance must be associated with a valid Qualys Cloud (SaaS) subscription in order to function. 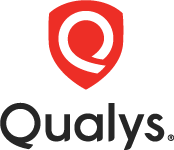 It is available for use either by licensed Qualys customers or trial users. Security: A web application firewall sensor to seamlessly provide robust protection to VPC and EC2-hosted web applications. This AMI is for use with the WAF module in the Qualys Cloud Platform. IMPORTANT: This AMI should not be used with 1-Click Launch, as additional configuration input is required when creating a new instance. Use "Launch with EC2 Console" option to deploy your instance.